Learning how to use Beats Wireless Headphones is easy. It is not something that only audio technicians can do. Those who are eager to buy this pair of headphones should know its basic functions and controls. Moreover, it is also essential for users to familiarize with the different settings that this device has. In this way, you can troubleshoot simple problems that may arise in the future. Of course, Beats Wireless Headphones are still susceptible to such a predicament. Although these devices have an astounding internal design, they can still encounter errors. In these instances, you have to learn how to use the Beats Wireless Headphones. The proper usage and maintenance of these headphones will greatly extend its lifespan. Considering the market price of this device, you will have no choice but to take care of it! This article will guide you on how to use the Beats Wireless Headphones properly. Moreover, we will give you some troubleshooting tips for some common problems encountered by this device. Let us get started! The first thing you have to secure is the power of the headphone. Specifically, you have to make sure that the headphone is fully charged or has enough power to operate. Some owners seldom mistook that their device is broken because it is not switching on. When they bring their headphones to the support centers, they are dumbfounded upon knowing that they just forgot to charge them. Locate the power button of your headphones. Usually, this component is found in the left ear of the headphone. You have to press the button for around 4 seconds or until the power indicator flash. When the LED indicator is flashing, it means that your headphones are already visible to audio source devices. Such of these will be your iPhones or iPads. Take note that you have to connect one device at a time. Connecting more than one audio source to the headphone can disrupt its signal. As a result, no pairing can happen. Go to the "Settings" option of your device (iPhone, iPad, iPod touch, or Apple Watch). Once you are there, look for the "Bluetooth" button and activate it. By default, your Beats Wireless Headphones will have a name of "Powerbeats2 Wireless." In some instances, you will have to rename your headphone by the use of the Beats Updater. If you have a friend or a family member with the same earphones as yours, then you should change the name of your device to avoid confusion. Once your device and your headphones are already paired, reconnecting them in the future won't be a problem anymore. Specifically, the Beats Wireless Headphones have a smart "memory" feature which allows it to connect to the most recent paired device automatically. If you want to connect another device, then you have to turn off your headphones and repeat the process above. First, you have to make sure that the headphones have sufficient charge. Hold the power button on the left part of the headphones for four seconds until the LED indicator flash. Your device can already detect your Beats Wireless Headphones once this happens. Go to your Mac. Next, search for the System Preferences which you can find in the Apple menu. In there, look for the Bluetooth and click it. Doing this should activate the Bluetooth capability of your Mac device. Similar to the iPhones and other Apple devices, the default name that would appear in the Bluetooth Menu of your MAC is Powerbeats2 Wireless. Moreover, you can also change this name by using the Beats Updater. Click "Pair" so that your Beats Wireless Headphones will connect with your Mac. After the first pairing, future reconnections won't be a problem anymore. 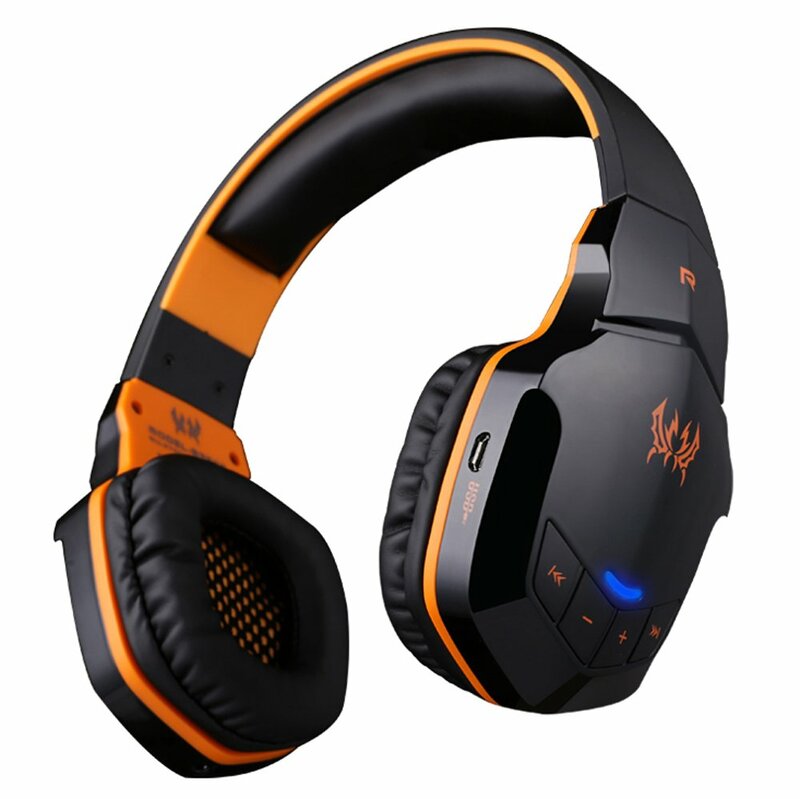 This is because of the smart "memory" feature of the headphone, which we detailed earlier. You can activate this mode by holding the power button and the "B" button for one second. Playing and pausing in Beats Wireless is truly easy. Just press the "B" button to stop or stream your music. Double press the "B" button so that you can skip to the next track. The process is just similar to the above step. Just press the "B" button twice. However, the second press should be a hold so that you can scan your tracks forward. Press the "B" button thrice so that you can play your previous track. If you want to scan backward, just press the "B" button three times. However, the third press should be a hold. If you want to answer or end a call, just press the "B" button once. You can switch the call from your headphones to your phone by pressing the "B" button twice. Rejecting an incoming call is allowable in Beats Wireless Headphones, too. Just hold the "B" for approximately two seconds. Using your Beats Wireless Headphones in making Skype chats and calls is easy. Just pair the headphone up to the device, and you are ready to go. However, make sure that you have the latest version of Skype installed in your PC or phone. Or else, you will encounter some difficulties in making calls. Fast Blinking of LED - Your headphone is searching for an audio source. Steady LED light - The headphone is already connected to a device. Honestly, you can connect multiple devices to your Beats Wireless Headphones simultaneously. However, the recommended limit is just seven. Pairing with multiple devices is a plausible technology. But this can cause future connectivity issues. There is a way to prevent such thing from happening. Specifically, you have to reset your Bluetooth devices and headphones on a daily basis. This process will allow each of their systems to refresh. It can delete their pairing histories as well. As a result, your headphone and audio source can establish a connection without any issues. You should know that the problem may not always lie with the headphone. Sometimes, you can find it on your phone or device. One of the primary reasons for Bluetooth connectivity issues is an outdated firmware. Technicians will tell you that the Bluetooth component is just a small part of the operating system and device. When a phone functions, all these pieces work together. As a result, memory constraints and issues happen, which in turn, can put its Bluetooth capability on demise. You can avoid short circuits by updating the firmware of your phone. Take note that some upgrades may not be compatible with your handset. Therefore, we recommend that you buy a device that is not locked to a particular system. There are connectivity issues that are caused by the physical setup of your device and headphone. You have to realize that a physical deterrence, such as a wall or a door, can hamper the Bluetooth signal. A Bluetooth signal is similar to a radio signal. Interferences are always bad for them. Specifically, the connection could not be transmitted correctly if the signal has to go through impervious surfaces like metal. Another interference that you should also consider is your router's signal. Internet connection can mess up with the signal of your Bluetooth device. We recommend that you should move away from them if you want a strong and uninterrupted connection. There are issues that you cannot solve on your own. If you deem that you can’t fix your headphone, then it is time to enlist some professional services. Apple manufactures Beats Wireless Headphones. Therefore, they provide services and cover their products with warranties. Of course, you have to resort to them first. You should know that breaking open your headphone will void your warranty. Moreover, try to avoid third-party services. They can also cause your warranty to be voided. You should only resort to this option if your warranty has expired already or if authorized services are not available. Aside from learning how to use Beats Wireless Headphones, it is essential for users to know the maintenance procedures of this device. Although this headphone is built with excellent materials, they can be damaged, too. As a recommendation, avoid over-charging your headphone. Moreover, always store them in a safe and comfortable compartment so that it won’t be damaged. Also, you will need to check for software updates regularly at the official website of Beats. In this way, you can always maintain the quality and performance of your headphones. ​How To Clean Earbuds Of Your Earphones?